"I decided to focus on pedagogy as I wanted a well-rounded musical experience.I transferred to the University of Auckland after my viola teacher relocated from Christchurch. “The facilities here are the best I’ve experienced, and the academic staff are incredibly knowledgeable and approachable. “Everyone is a specialist in their field, and I’m able to take what I learn in class and actively apply it to my playing. I also enjoy how the community of students is tight-knit and forms groups despite their year level. "Being a teacher has aided my playing; I understand how to teach myself, and I better understand what my teacher is saying. 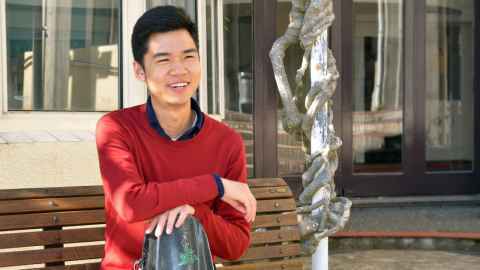 "After my studies I would like to get into the chamber music side of things; forming groups and competing, advancing as a chamber player. At some stage throughout my career, I’d also like to go back to China and contribute to the musical development there."